European countries are expecting a letter from Prime Minister Theresa May on Wednesday, requesting a delay to the country’s departure from the bloc. “The letter to President (Donald) Tusk will be sent ahead of the European Council,” a U.K. official based in Brussels told CNBC Tuesday. European Commission President Jean-Claude Juncker said Wednesday morning that May “must bring clear plans to the EU summit if she wants an extension on Brexit” but said it is “highly probable” that Britain will not leave the EU on March 29. Speaking to Deutschlandfunk radio, he reiterated that there would be no re-negotiations of the Brexit deal. “When it comes to Brexit we’re in God’s hands. But even God has a limit to his patience,” he said. 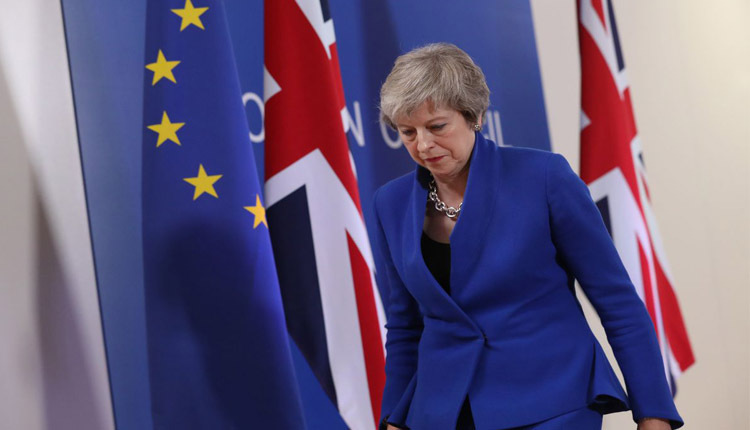 However, British Prime Minister Theresa May will request a short delay to Brexit in a letter to the European Union on Wednesday, the BBC and Sky reported on Wednesday. Until now, the 27 countries of the European Union have said that they need a “credible justification” for a delay on the Article 50 process – the EU’s legal framework for a country to leave the bloc. Without a good reason to extend this process, the 27 countries may struggle to give more time to the U.K.
“We need something new, because if it is an extension to remain in the same deadlock that we are – how do we get out of this deadlock? This is a question for the British authorities,” Nathalie Loiseau, minister for European Affairs of France said in Brussels Tuesday. The chances of a no-deal exit start to rise if the EU countries don’t find a strong reason to extend Brexit. “It can very well happen, it is not what we want to happen,” Loiseau told CNBC when asked about how real is this scenario. “It is a choice to be made by the United Kingdom, they have said no to a no-deal and no to a good deal, they have to change their mind in one of these options,” she said.